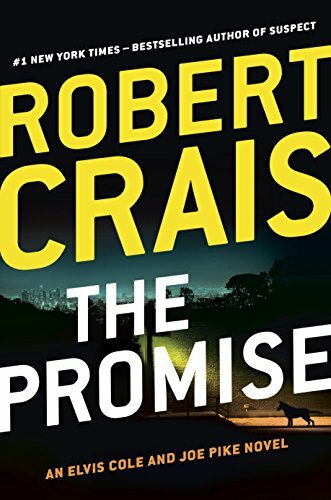 The Promise by Robert Crais is book 5 in the Elvis Cole Series, book 16 for Joe Pike, and book 2 for characters Scott and Maggie. 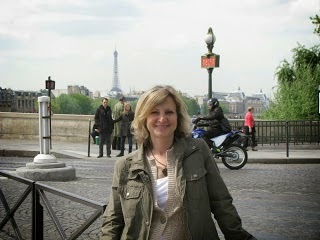 Find out what the Denver based Crime & Beyond Book Club thought of the book. In The Promise by Robert Crais, Elvis Cole is hired by a woman to find a missing co-worker. Elvis learns the missing woman is an explosives expert and recently worked for a defense department contractor. Meanwhile, Scott James and his police dog track a fugitive to a house filled with explosives and a dead body (of said fugitive). Soon, the two cases intertwine and everyone is up to their necks in bombs and corrupt officials. The book featured a lot of recurring Crais characters: Elvis Cole, Joe Pike, Scott James, and our favorite…Maggie the K9. It was billed as Elvis Cole #5, Joe Pike #16, and Scott & Maggie #2. Crais likes to intermix his characters and if you’re a long time reader it can be fun to visit with more than just one in each book. We read a lot of Robert Crais books because we love his writing style and find his books to be guaranteed entertainment. This book was no different and got excellent scores from the group, averaging an 8 out of 10 on our scale. We liked the story, it was quick, interesting, entertaining, wrapped up nicely, and we just plain like the author’s writing. There were a lot of characters, so you need to pay attention and follow along closely. The ending was wrapped up in a bow and very satisfying. The book is a great read for a book club and we really got a lot of discussion out of it. If you’ve never read Crais before, you can still follow along. So don’t let that it’s the 16th in the Joe Pike series scare you away. Next month we will read and discuss The Guilty by David Baldacci.